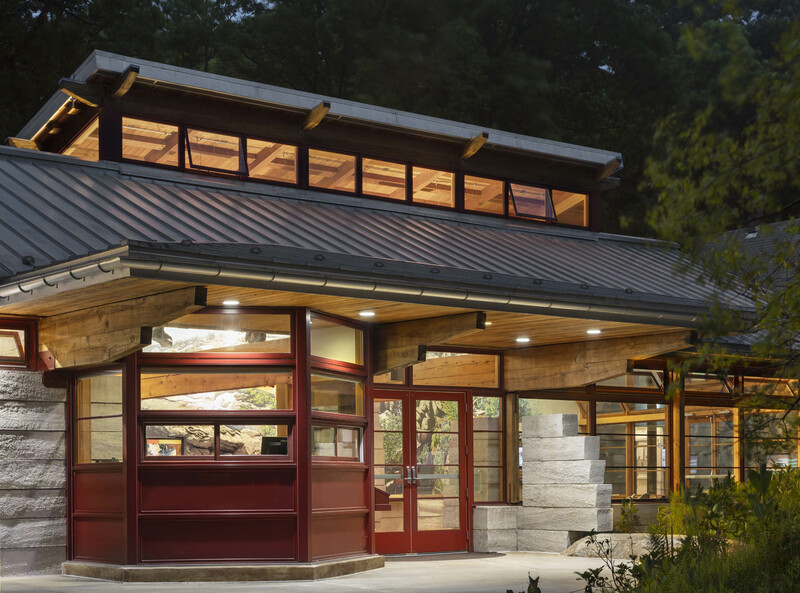 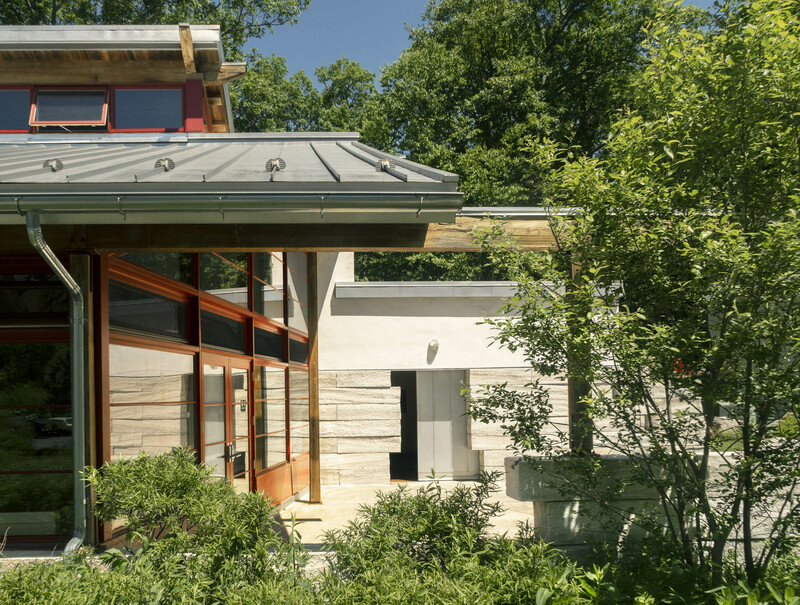 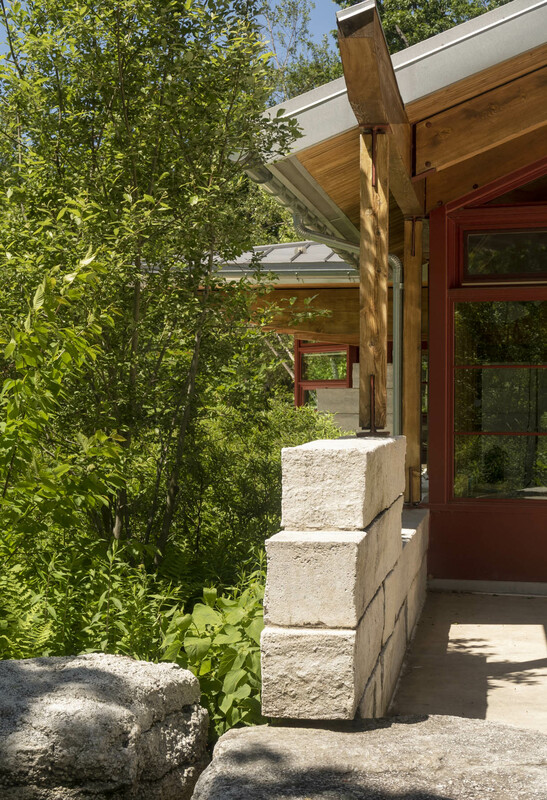 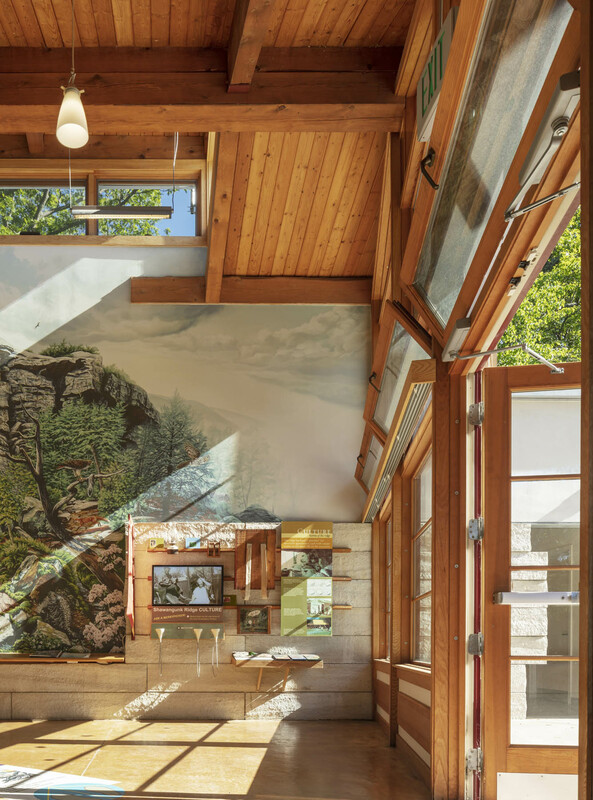 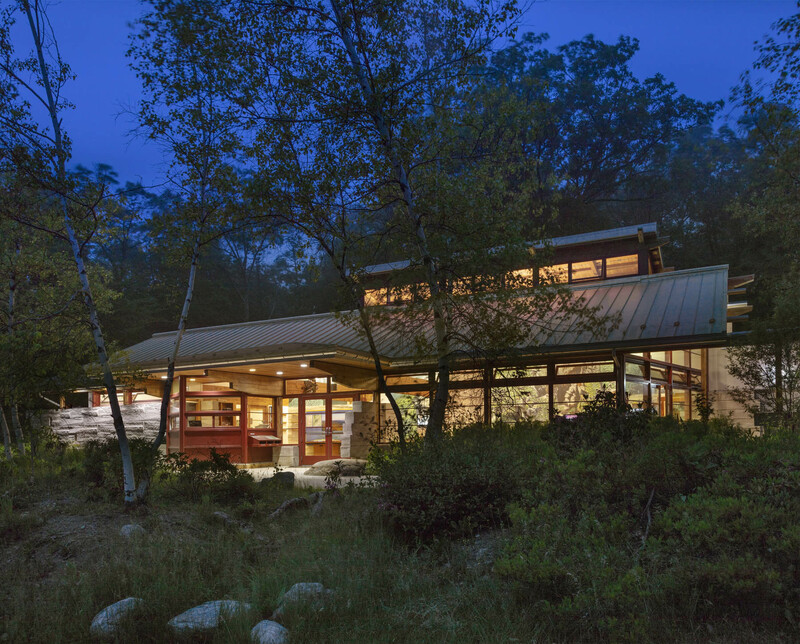 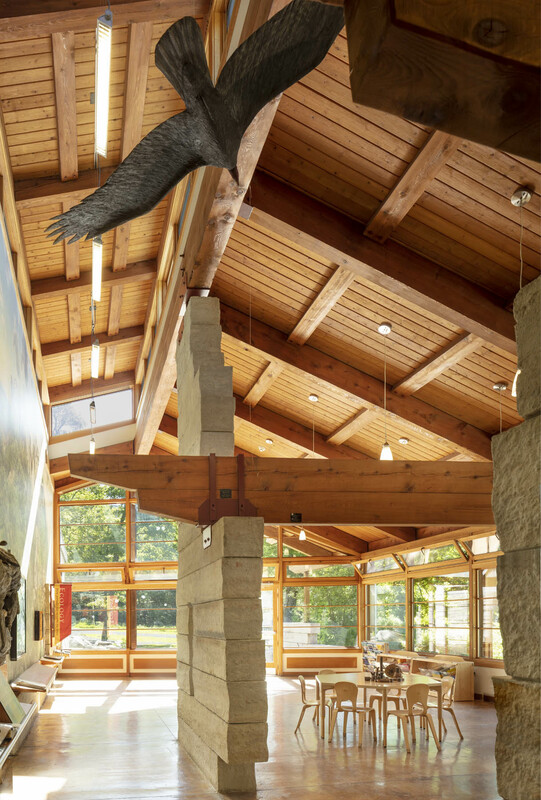 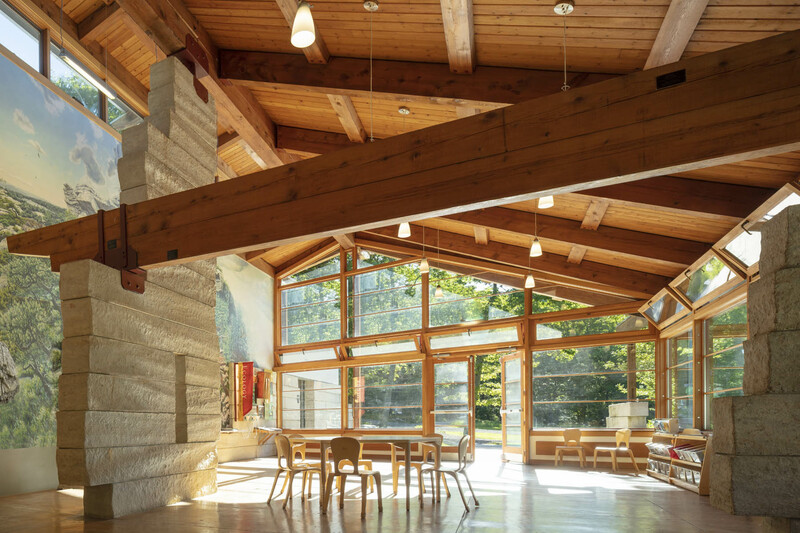 Designed for The Nature Conservancy, this center provides support services for staff and visitors using the 5,000+ acre Sam’s Point Preserve. 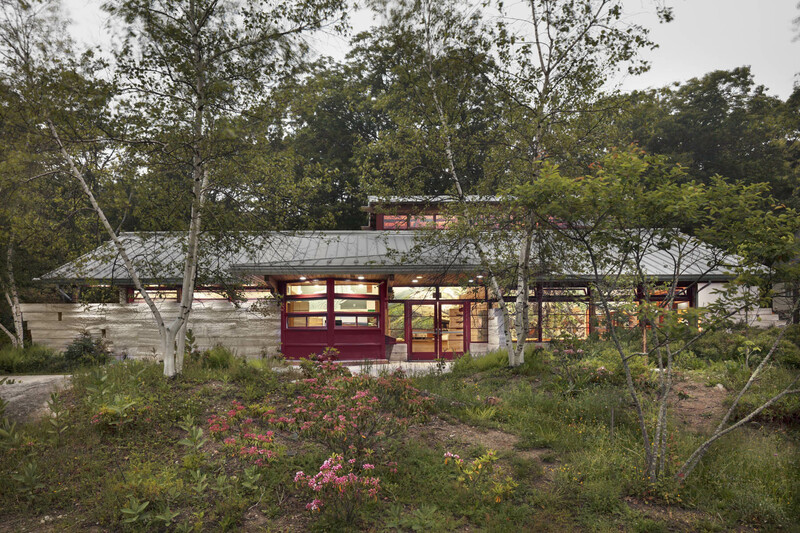 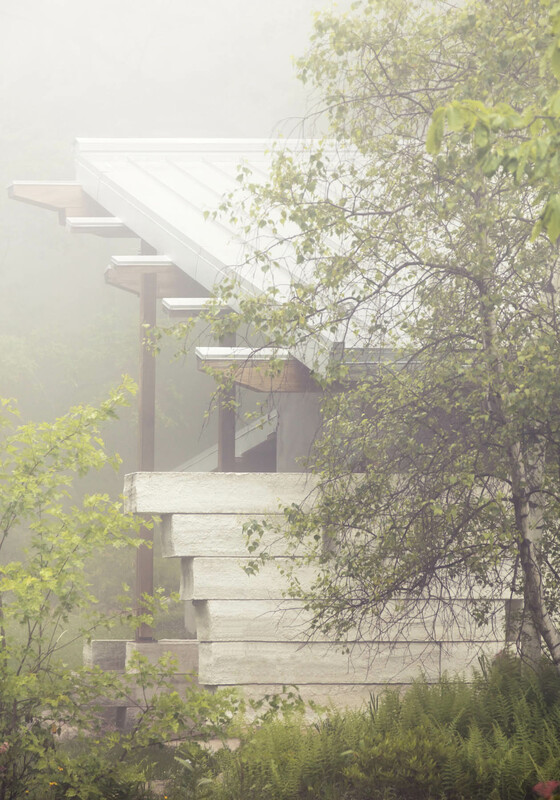 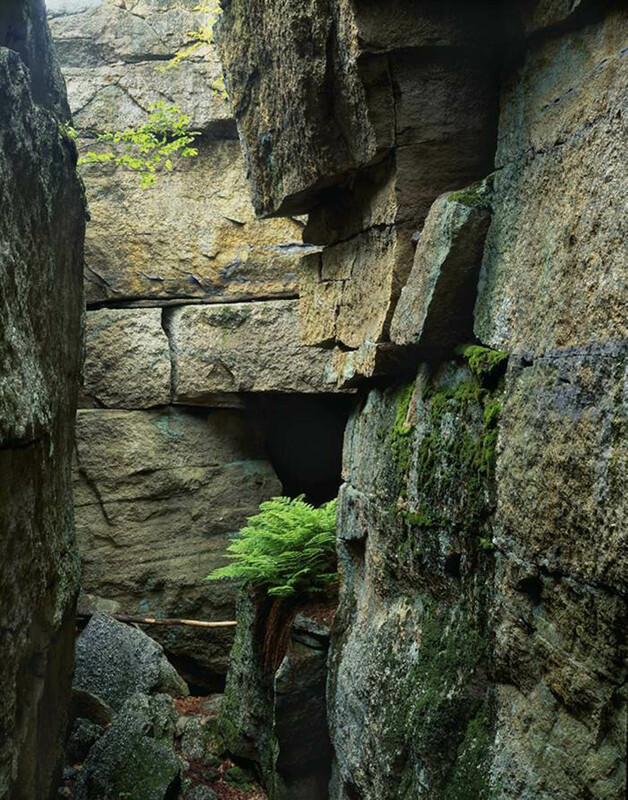 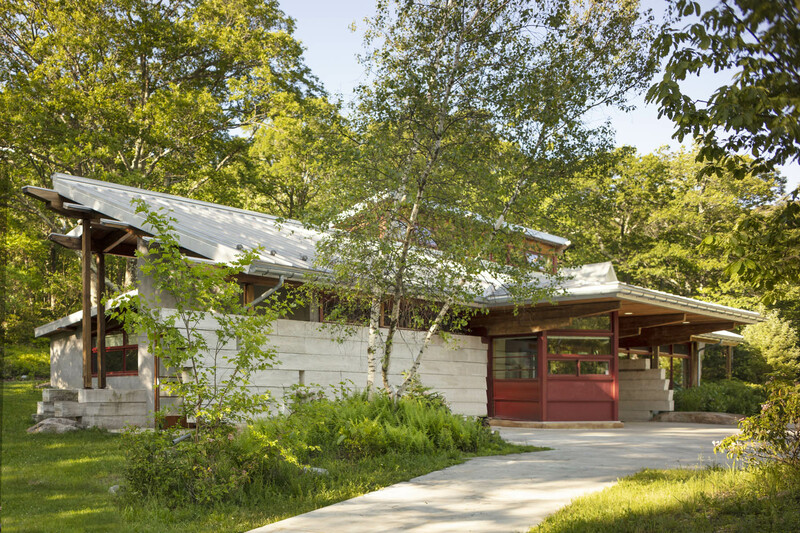 The building is designed as an extension of the landscape where natural materials focus the visitor on the relationships between the geology of the cliffs and the rare dwarf pine to which the Preserve is home. 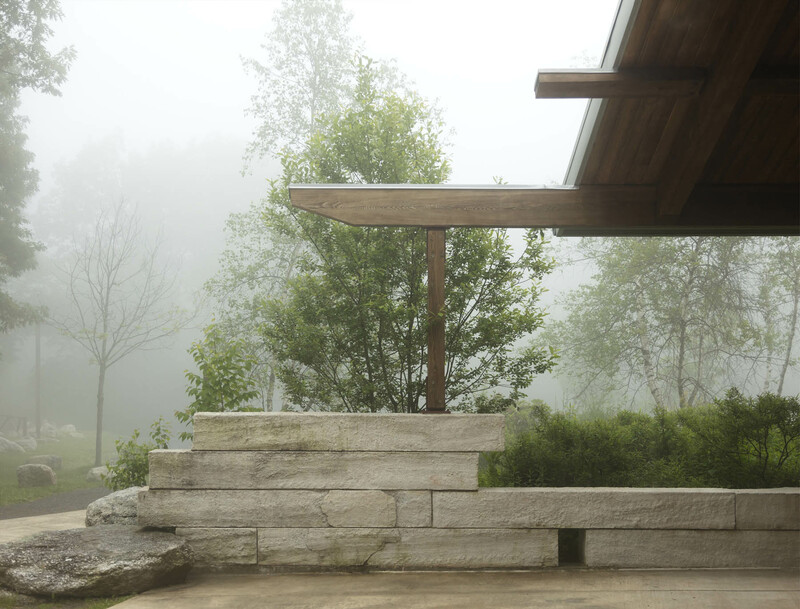 The building dissolves the normal boundaries between the site and the structure in order to heighten the sense of integration. 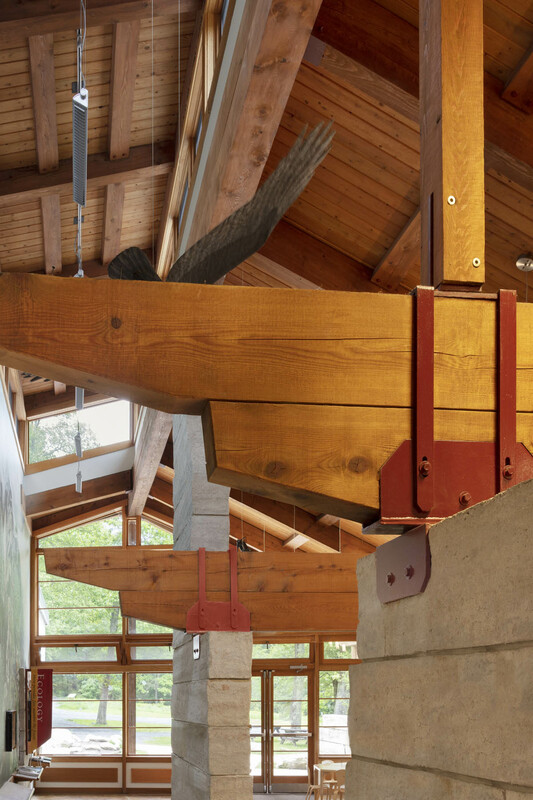 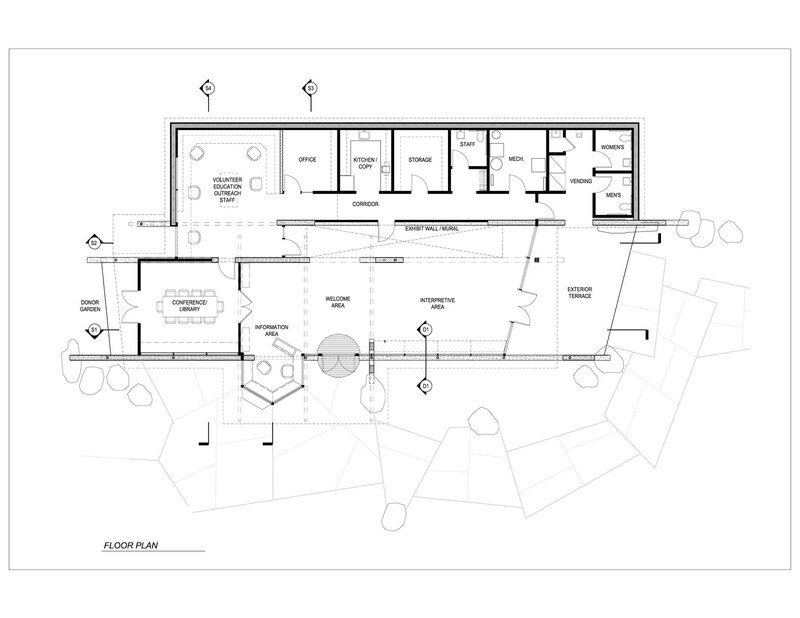 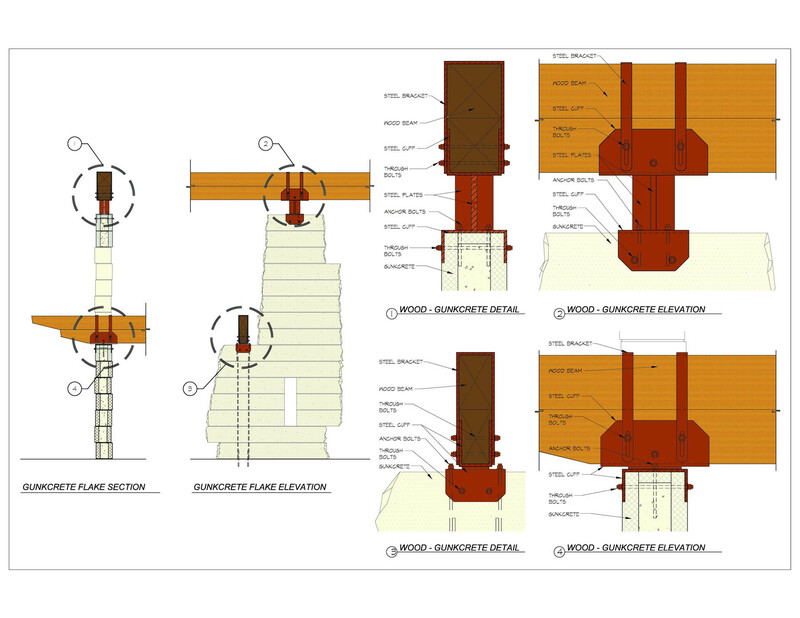 Concrete flooring, masonry walls and structural timber framing all pass seamlessly from interior to exterior. 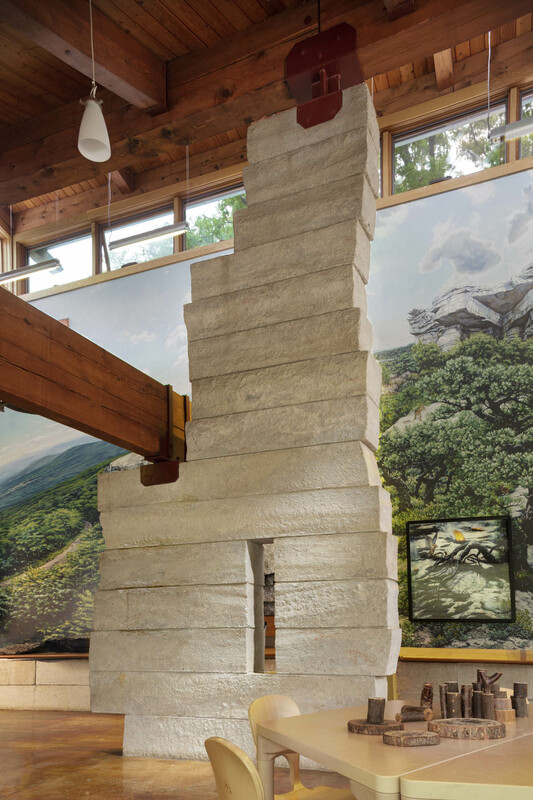 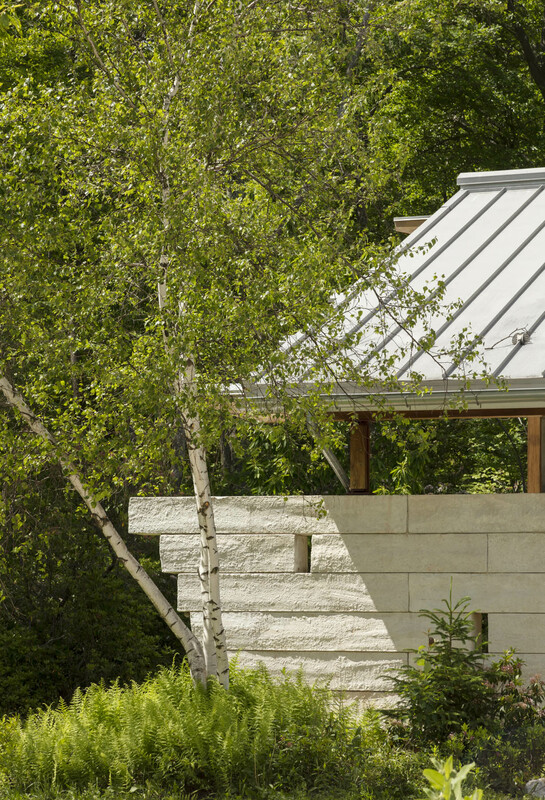 The primary wall material is a custom-designed system of massive pre-cast concrete masonry blocks dubbed “Gunk-Crete.” Made from a custom mix of colored white concrete and quartzite aggregates, the masonry is similar to the local conglomerate limestone that defines the Preserve’s geology. 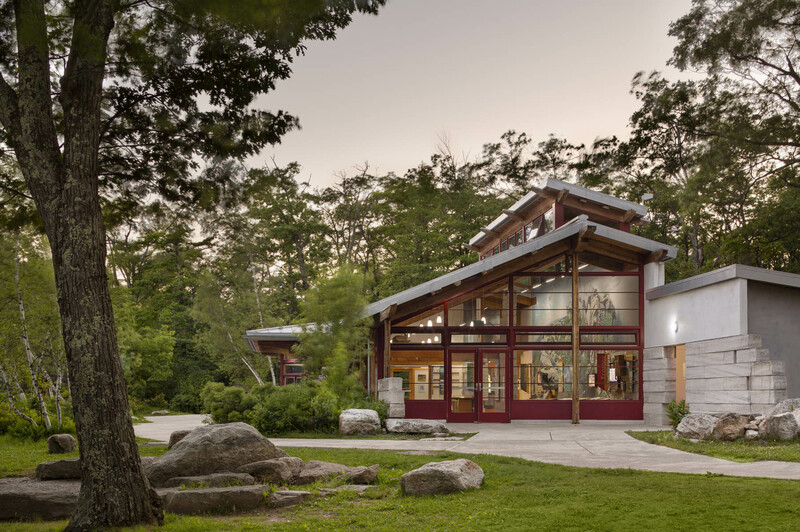 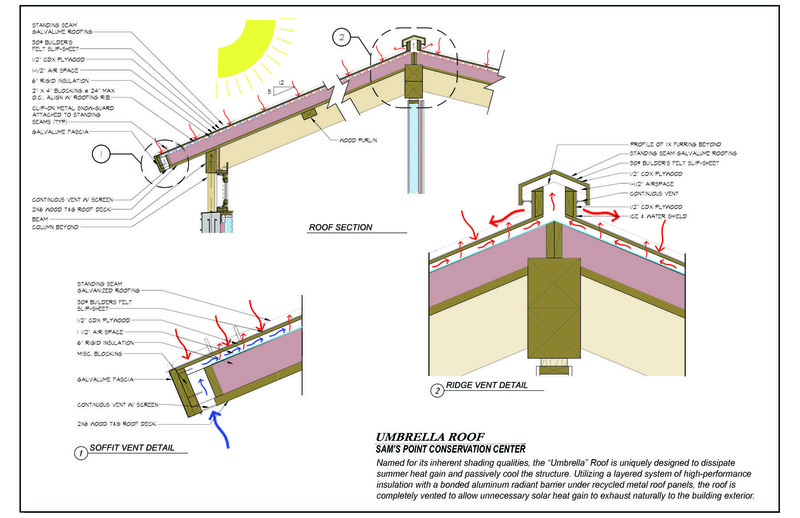 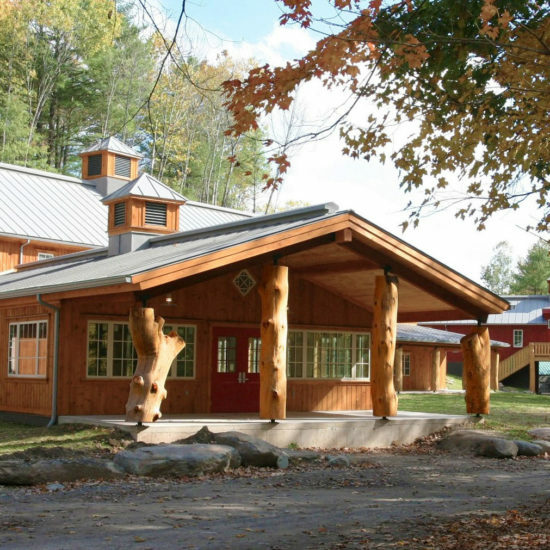 The architectural design, site planning, materials and building systems, all designed in accordance with the LEED standards developed by the U.S. Green Building Council (USGBC), demonstrate energy-efficient, sustainable building practices that are practical and affordable. 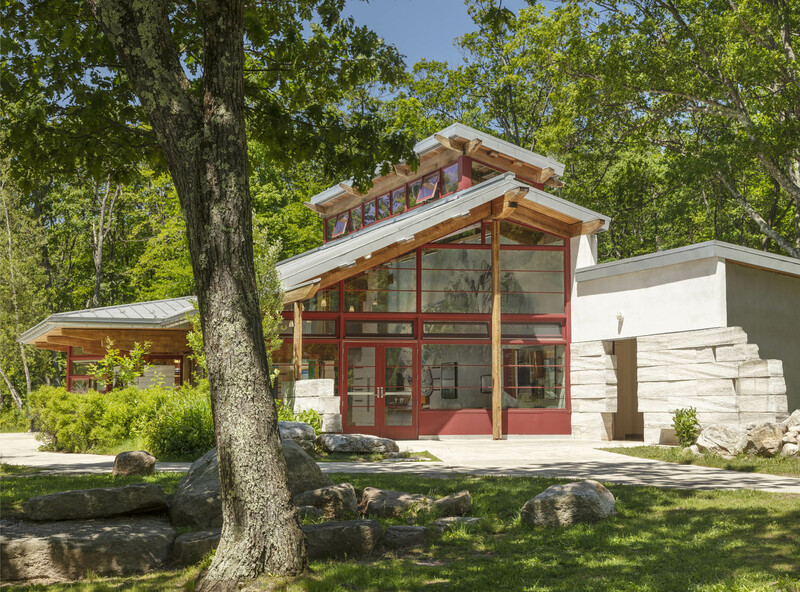 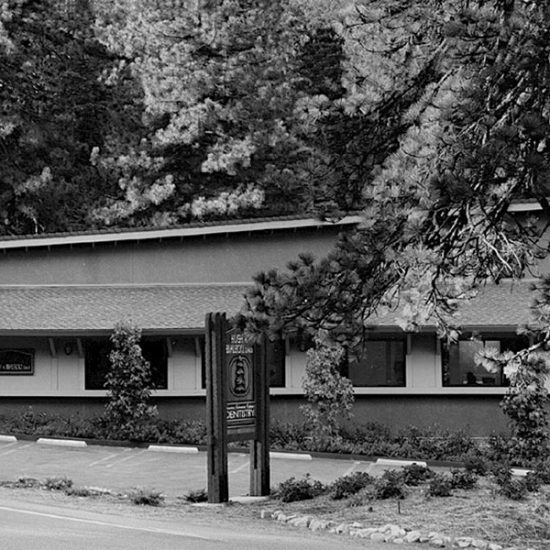 The building received LEED certification in 2007.